Helichrysum & Tamanu Wound Healing Salve is an all-natural and vegan skin salve that is formulated to speed the natural healing of cuts, scratches and burns. 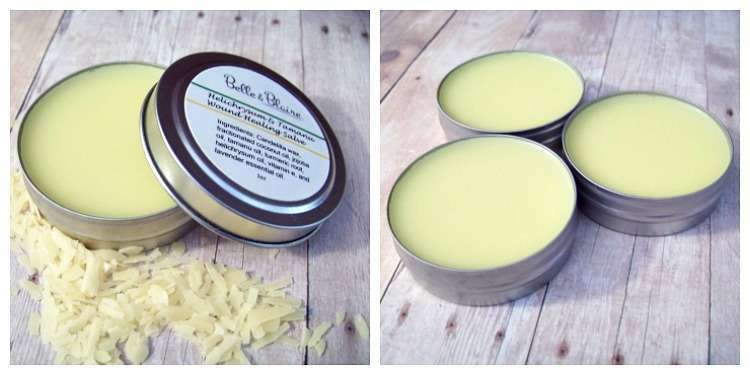 This natural wound healing salve will work to prevent scarring after trauma to the skin. Helichrysum oil is a type of essential oil commonly used in aromatherapy. Sourced from a plant in the sunflower family, helichrysum essential oil is touted for its healing effects. Helichrysum is known to reduce inflammation, promote the healing of wounds and burns, stimulate digestion, promote detox, boost the immune system, reverse signs of aging in the skin, and fight fungal infections.